The SDT340 Data Collector, together with the UAS4.0 Analysis Software, is a multidisciplinary predictive maintenance solution adapted to the specific needs of the industry. 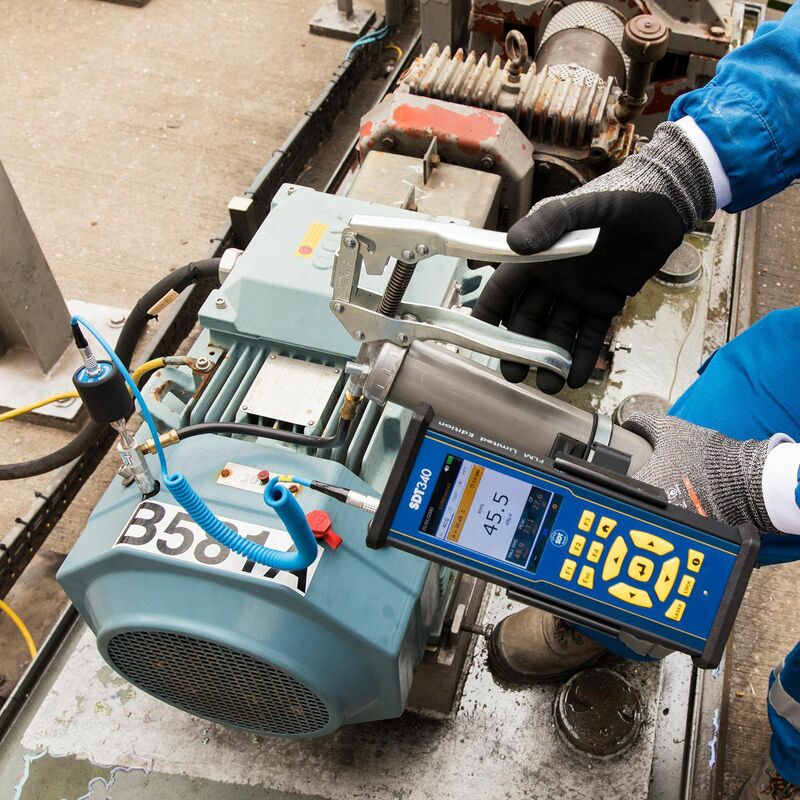 Check the health of your machines, predict failures and control energy costs by combining ultrasound, vibration, temperature and rotational speed. Organize effectively your predictive maintenance program from UAS4.0, the cross-platform and multi-technology software that manages and analyzes your data from your desktop, server, or in the cloud. 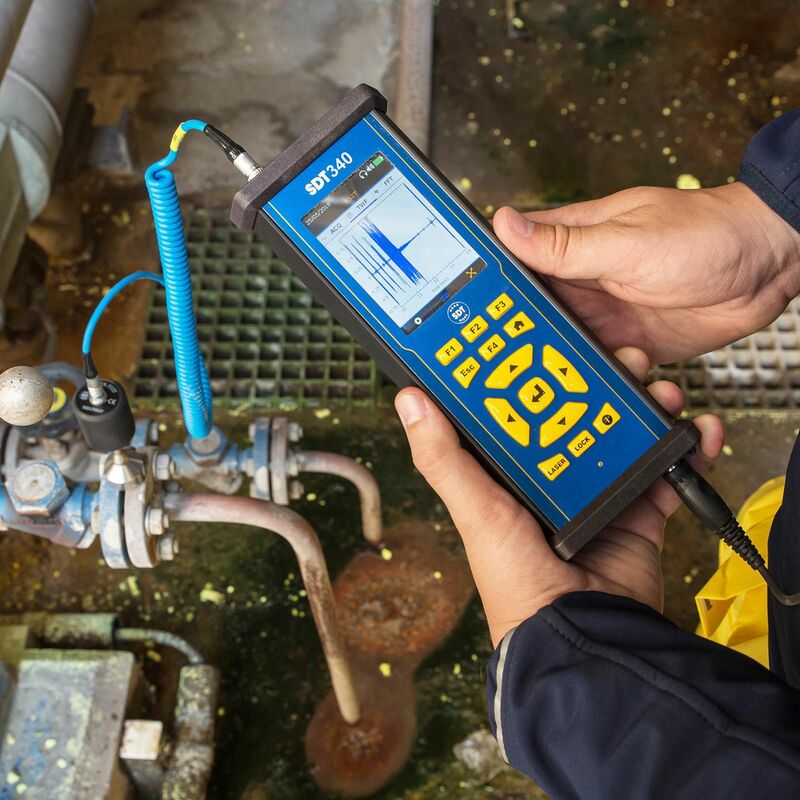 - MECHANICAL: Detect defects in any mechanical system. 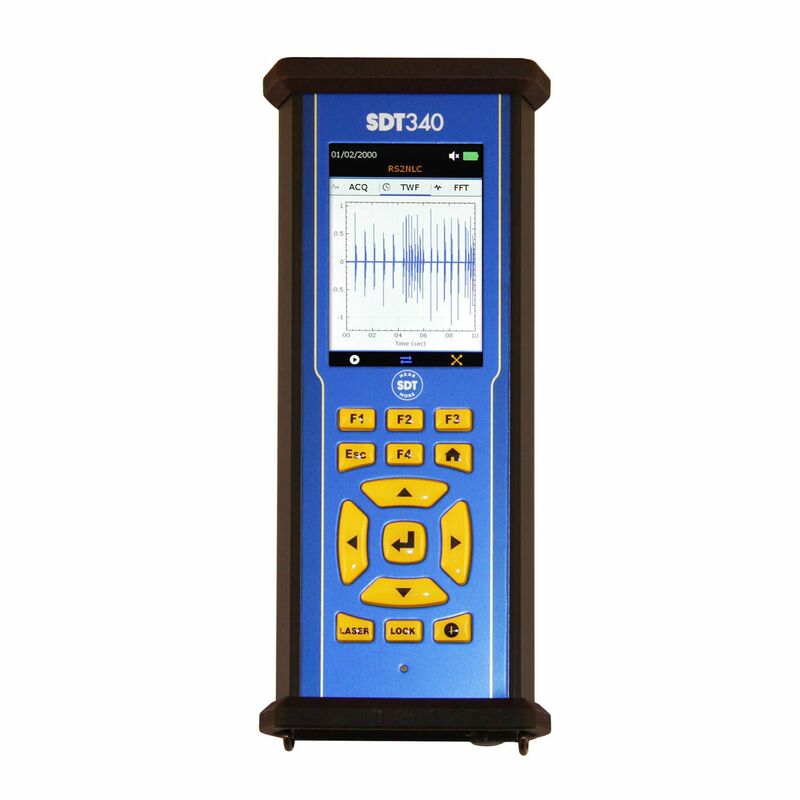 - LEAKS: Find pressure and vacuum leaks in noisy conditions. - LUBRICATION: Avoid over/under lubrication. Grease bearings right. - ELECTRICAL: Inspect medium and high voltage systems for arcing, tracking and corona. - VALVES: Asses valve tightness. - STEAM: Find faulty steam traps and leaking components. - HYDRAULICS: Troubleshoot any hydraulic system for passing and blockages. - TIGHTNESS: Determine the tightness of any enclosed volume.